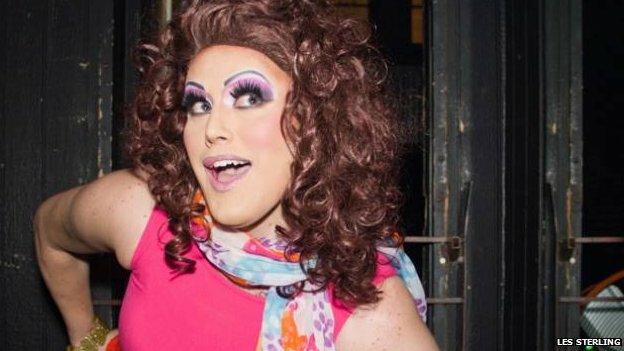 A new petition has surfaced among part of the crossdressing/drag community to pressure Facebook into allowing drag performers to hold accounts under their professional (stage) name. At first this doesn’t seem like any big deal – more than half of the transgender women on my friends list are posting under a name which is not legally theirs. I did so myself until I finished transition. However, Facebook also allows people to create pages under their specific persona, or any persona, so it seems like this might be a better answer. The downside is there is less “personal touch” working through a page via a standard Facebook account. I don’t know what the right move is. It seems that Facebook wouldn’t have any real way to verify a person’s name, nor that much interest in cracking down on someone using an alias. Then again, making an exception here for drag performers shouldn’t be as big a deal as Facebook appears to be making it. BBC News – Drag queens in Facebook name row. This entry was posted in Activism, Entertainment, Fashion and tagged crossdressing on September 12, 2014 by . I can see where FB is coming from. If they can restrict multiple pages and online identities, FB can be more certain of the quality of the data they have. That said it would seem an easy fix would be to allow two fb pages per user or have some easy way for one page to be used for two different identities. Seems this could be done so that only fb knows how the pages are connected to the same individual. Not everyone can or will transition and take on a new legal name. Also given the nature of our society lots of reasons why many people might want two different page identities totally unrelated to transgender issues.